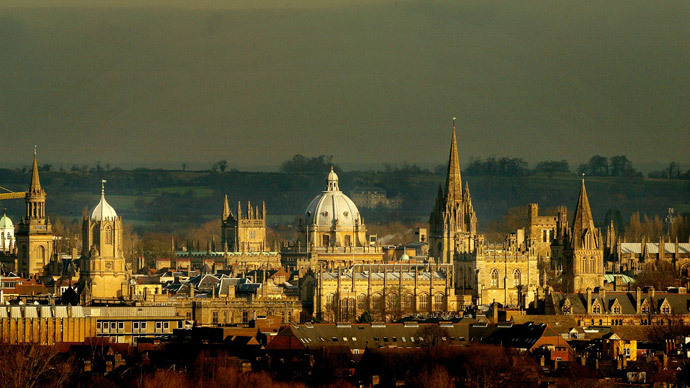 Oxford and Cambridge universities are institutionally racist and accentuate elitism. That’s a research finding made by Professor of Education at Cambridge University Diane Reay. Reay says black and working class students are “marginalized” at Oxbridge, despite efforts to attract students from less-privileged backgrounds. Working class students at Cambridge see the university as a “white, middle class bubble,” Reay said in a report by race relations think tank the Runnymede Trust. Oxford University has the lowest proportion of state-educated entrants – 57.4 percent – according to figures released last year. Some 63 percent of students at Cambridge were admitted from state schools. Reay called for urgent measures to ensure more people from disadvantaged backgrounds are admitted to the “elite” institutions. Her research suggests “positive discrimination” is at work in Oxbridge, as it bestows advantage on those already privileged. The change of success rates in different applicant groups demonstrates “institutional racism,” Reay suggests in the Runnymede report. Rejecting students who lack more “traditional” qualifications and not allowing students to work during term time “effectively rules out” working class black and ethnic minority candidates, Reay claims. Some 25.4 percent of white students won a place at Oxford in 2013, while the success rate of Bangladeshi and Pakistani students was under 7 percent, and black students 13 percent. The lack of working class BAME (Black, Asian and minority ethnic) students in Oxbridge has left current pupils of the demographic feeling alienated. “Coming to Cambridge, I found myself single-handedly having to tackle every black stereotype and it is frustrating,” she said. Being a working class black woman at Cambridge has led to some “damaging” experiences, she added. "I do not believe this is unique to Oxbridge. I feel that being at the oldest and top academic institutions in the country only magnifies the race and class issues that are entrenched in wider society," she added. “Things are not where they should be, but I am hopeful that they are moving in the right direction,” she told RT. Campaigners shared pictures of themselves holding up placards with issues they experience on a daily basis. “You don’t speak well enough to go to Oxford,” one sign said. “Yes I’m Indian, and no you can’t imitate my accent,” another sign read. Do Oxbridge prefer accepting people from racist schools? “Being strong, female and black does not make me scary,” another sign said. “I am Asian, and I have not felt that it has been a problem here,” another sign said. The Oxbridge universities have “strongly rejected” Professor Reay’s race allegations, as they claim they are spending millions to encourage students from diverse backgrounds to apply. “Data shows that ethnic minority admissions to Cambridge reflect national trends once prior school attainment has been factored in,” he said. “Our commitment to improving access to the University is longstanding and unwavering,” the spokesperson added.